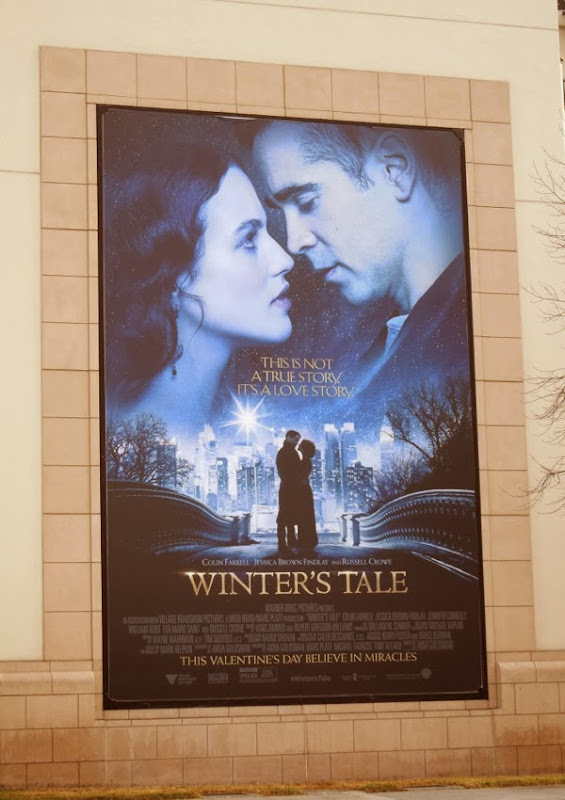 There are certainly a fair share of romantic movies around at the moment to capitalise on Valentine's Day, whether it be funny dating and relationship movies like About Last Night and That Awkward Moment, or epic love stories with a twist like, Winter's Tale. The wrinkle in this story though is time. 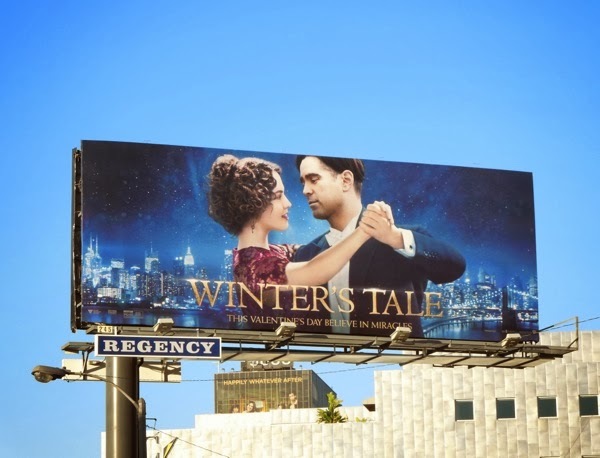 A thief (Colin Farrell) falls for a dying heiress (Jessica Brown Findlay) when he breaks into her house in New York in 1916. After she dies in his arms, he discovers he has the gift of reincarnation, so he decides to pursue his love through time to modern day Manhattan. 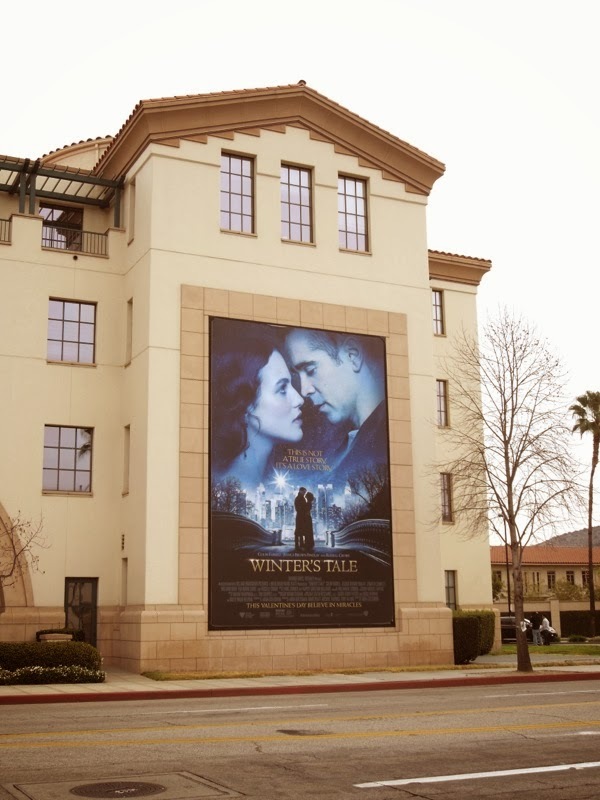 Akiva Goldsman brings Mark Helprin's novel from 1983 to the big screen, which from the looks of these ad creatives looks like its more from the world of Downton Abbey than supernatural fantasy (which may have something to do with the actress having played 'Lady Sybil' in the phenomenally popular period drama). 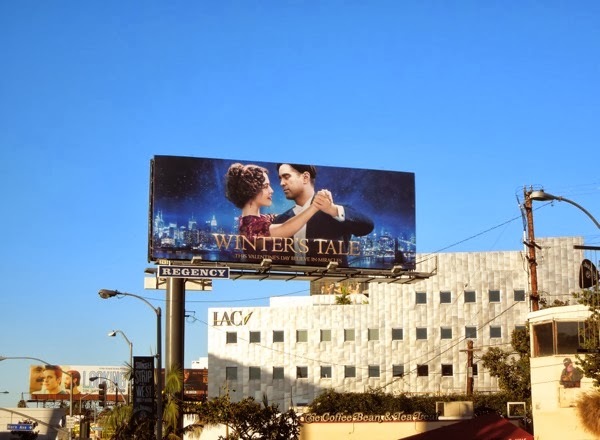 The ballroom dancing creative was snapped along Sunset Boulevard in West Hollywood on January 13, whilst the more traditional romantic movie portrait billboard was spotted at Warner Bros. Studios in Burbank on January 24, 2014. 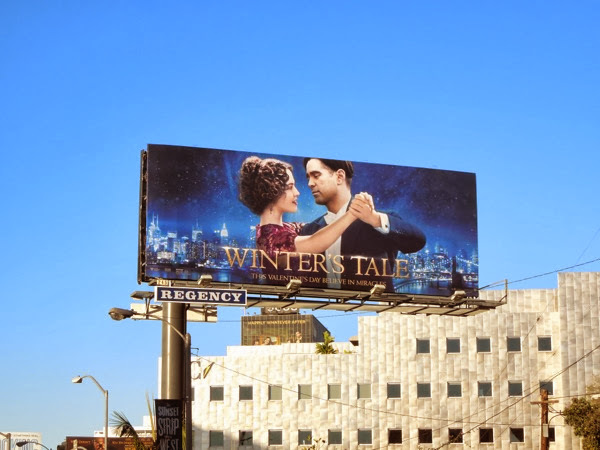 Daily Billboard is sure the rest of America is sick of winter at the moment, at least the weather, and this time of year never feels the same here in milder L.A., so it'll be interesting to see if the film's title will be detrimental or advantageous.